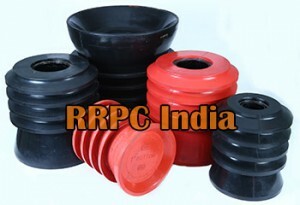 RRP has designed Plastic core cementing plugs to compliment its line of plugs to decrease drill out times. 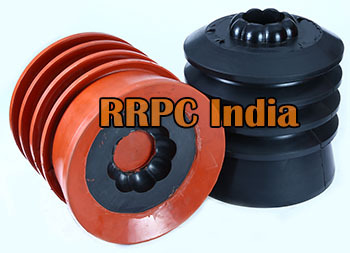 The core of the plugs are manufactured using large plastic core coated with thin rubber coverings, which eliminates aluminium (metal) and large mass of rubber found in conventional aluminium cementing plugs. Our plastic core has high tensile strength and possesses a greater comprehensive strength (30 ksi) over the aluminium alloys (24 ksi). It can withstand a bottom hold temperature of up to 250°C for an extended period of time. There are two major advantages of using our Plastic core cementing plugs over conventional aluminium ones. Firstly, our plugs increases the drill bit efficiencies as lesser rubber material in the plugs does not entangle and interfere with the drill bits while drilling thereby reducing drilling time. Secondly, the plastic core allows the drill bits to crush it into powdered form thereby eliminating the metal components from the drilling fluids in comparison to conventional aluminium plugs where metal present in drilling fluids due to aluminium crushing. The metal parts in the drilling fluid may damage components and equipments of the drilling fluid line. This helps in further enhancing the efficiencies and life of the machines in drilling line including Mud pumps. Increased drillablity with no metal components. We can manufacture these cementing plugs in different sizes from 4.1/2”, 5.1/2”, 7”, 9.5/8”, 13.3/8” and these plugs are available in Natural / Nitrile Rubber and HNBR (very high temperature) covering based on specific requirements.